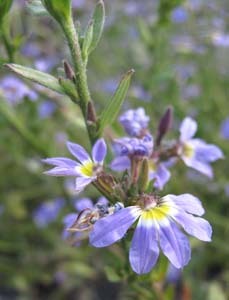 Scaevola aemula is a very rare, erect herb about 30-50cm tall. The leaves are glossy green, 2-7cm long and about 5-25mm wide with a few sharp teeth. 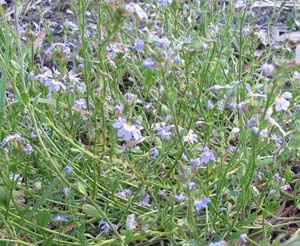 The flowers are purple or lilac and are solitary in the leaf axils.